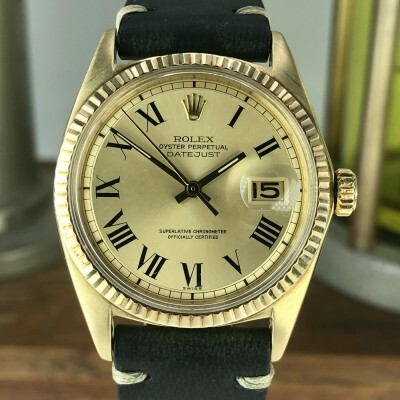 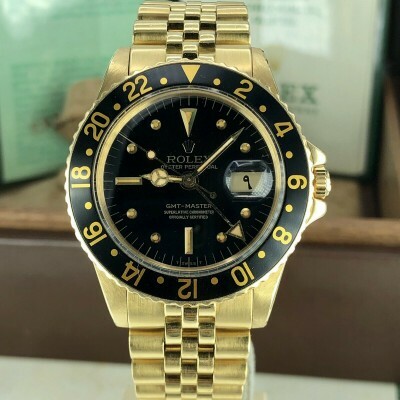 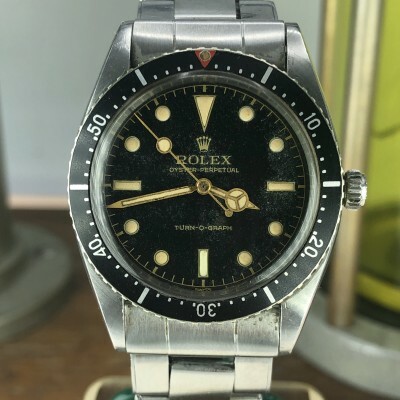 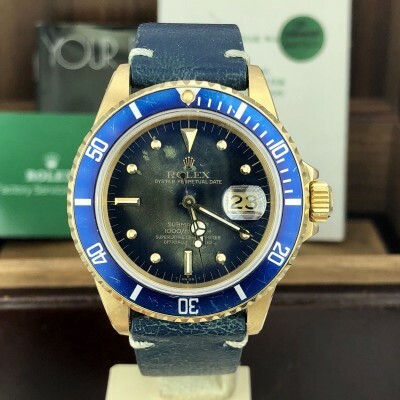 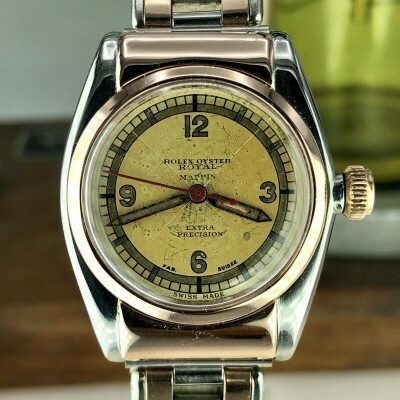 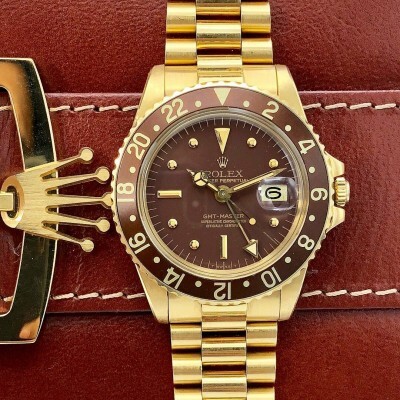 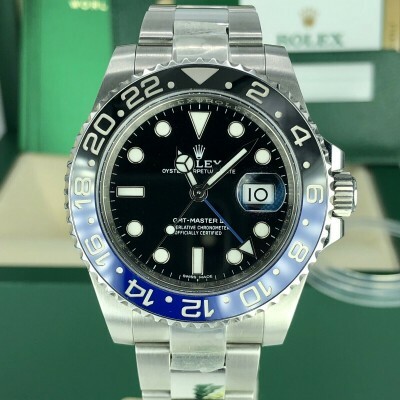 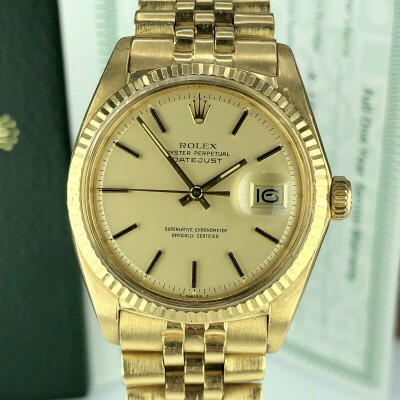 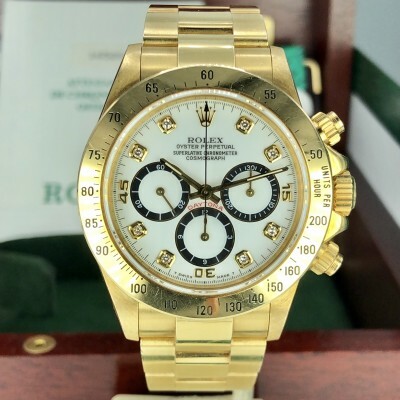 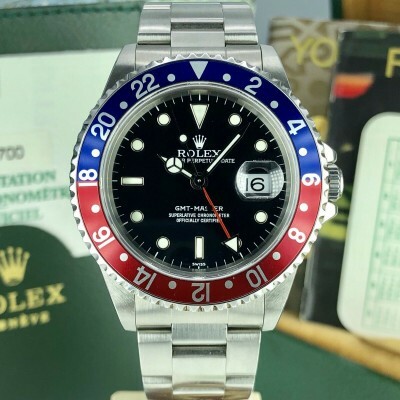 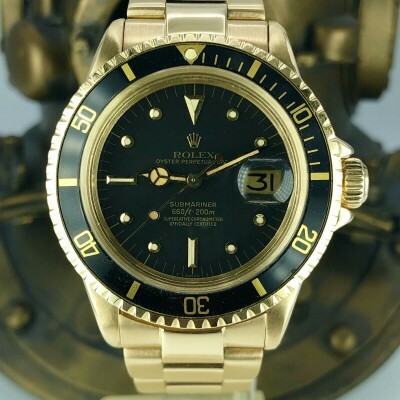 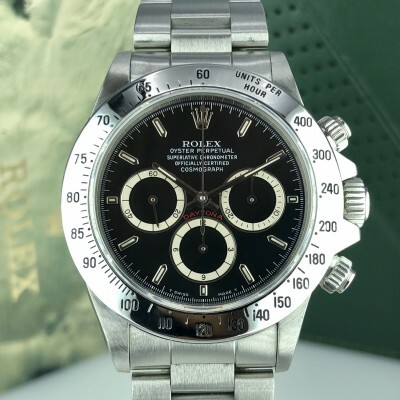 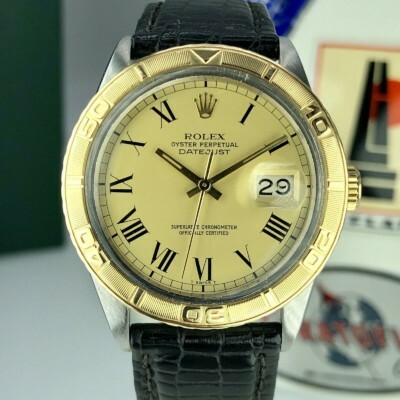 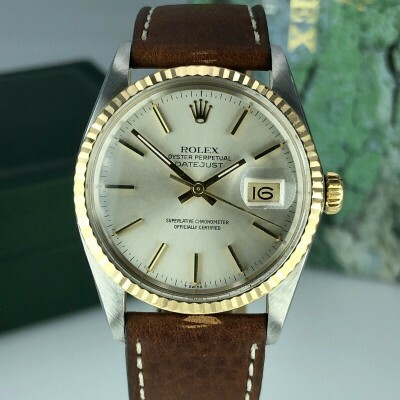 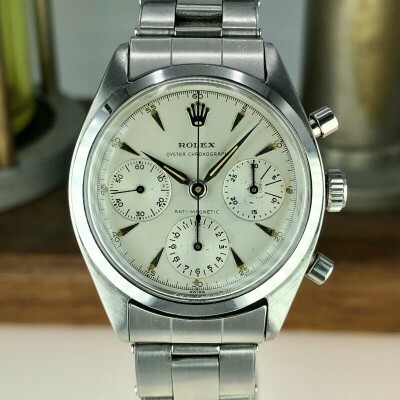 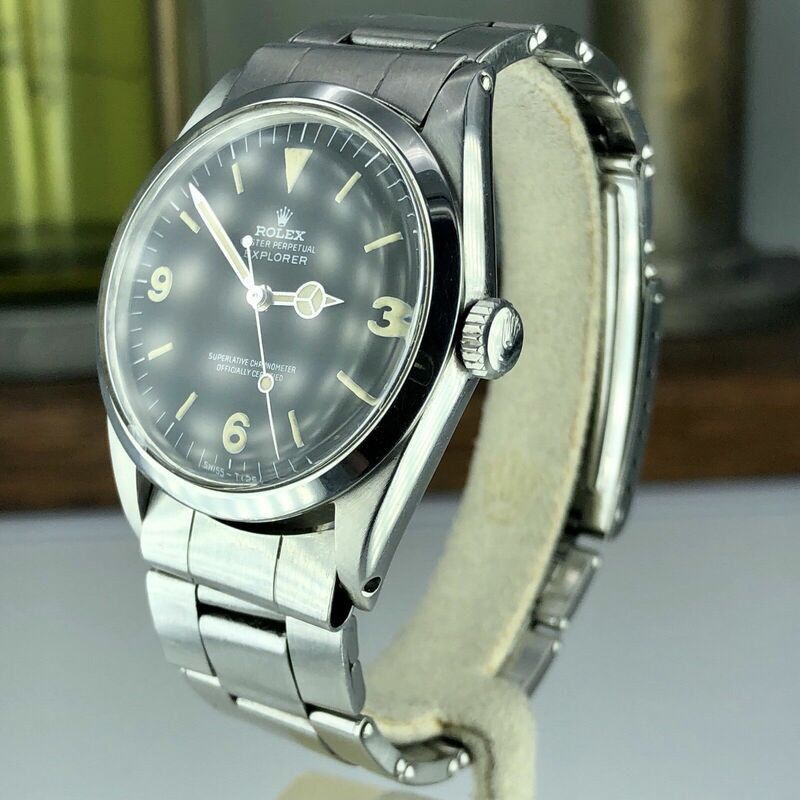 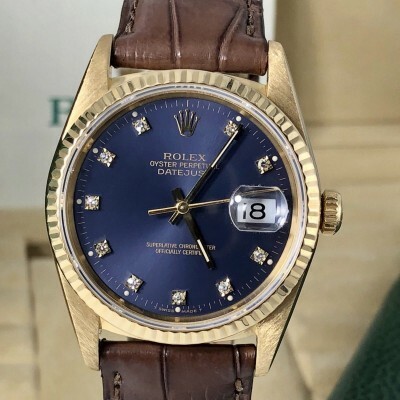 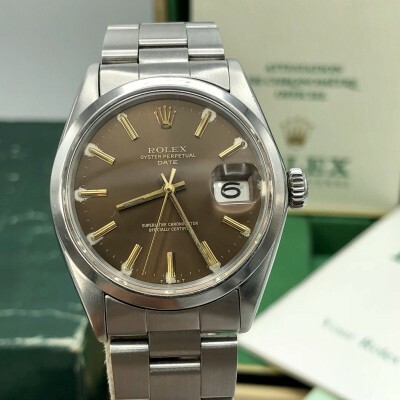 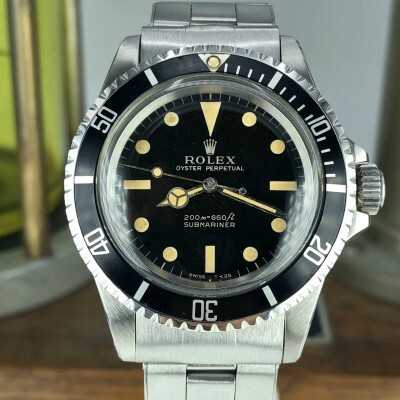 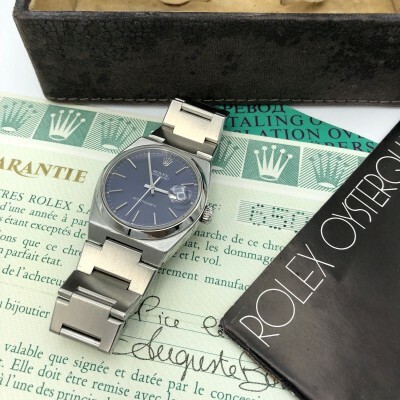 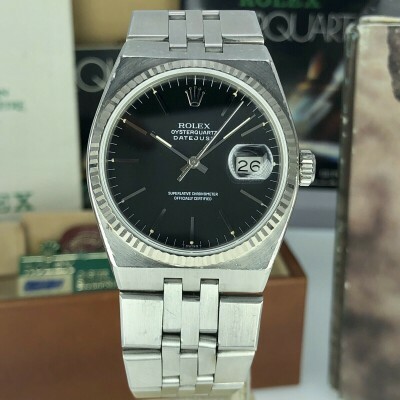 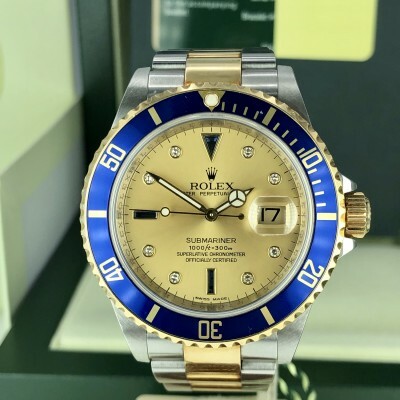 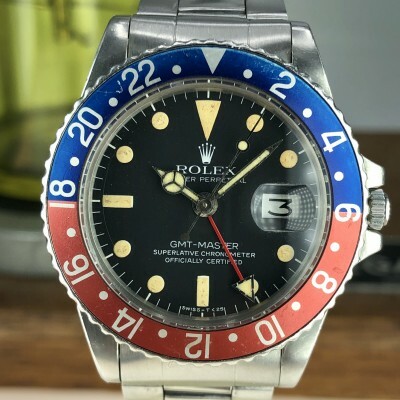 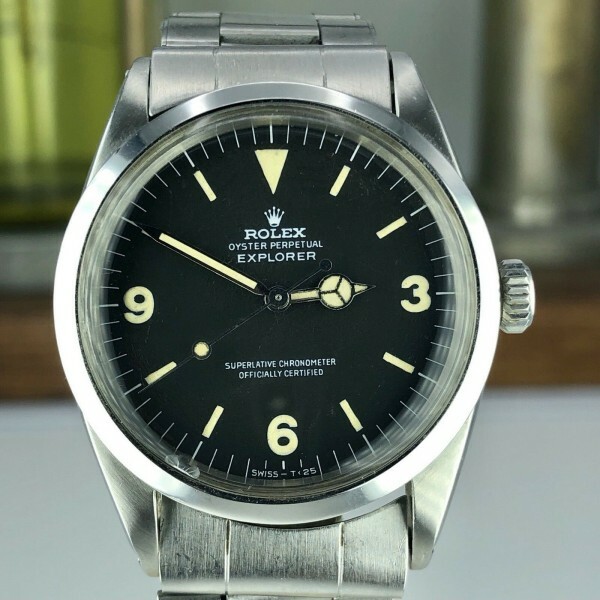 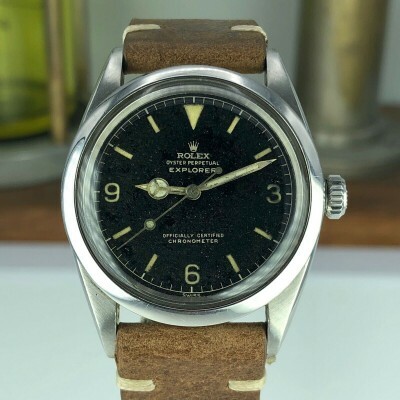 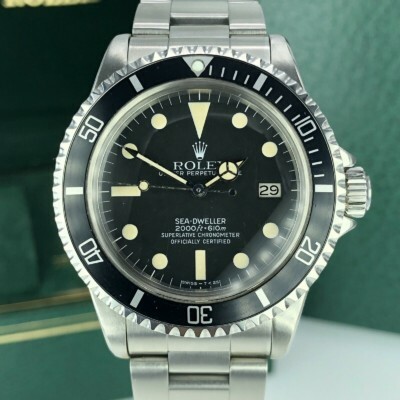 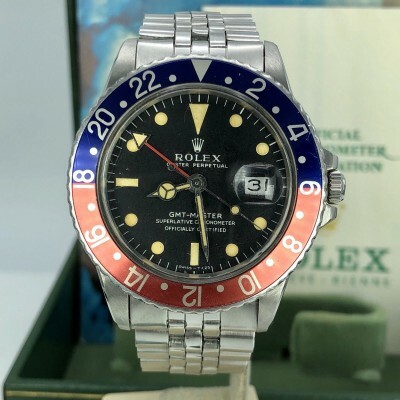 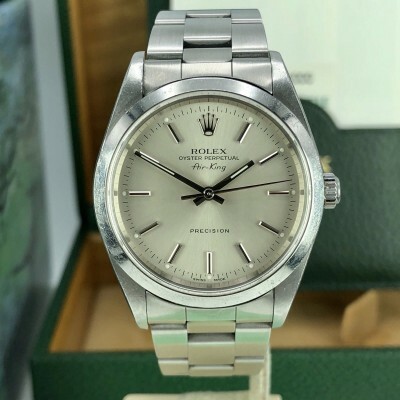 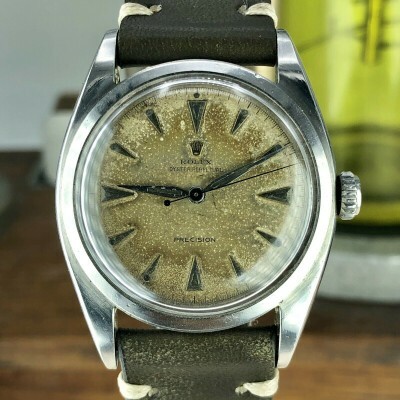 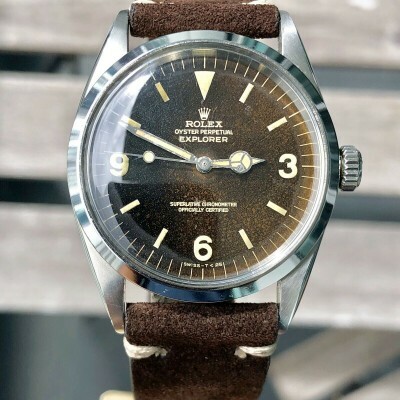 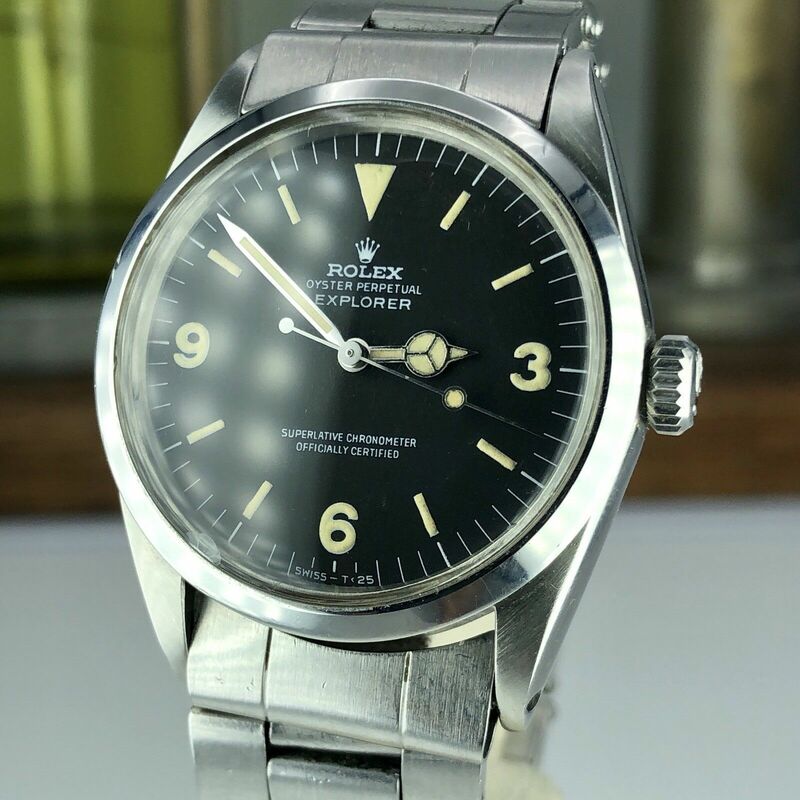 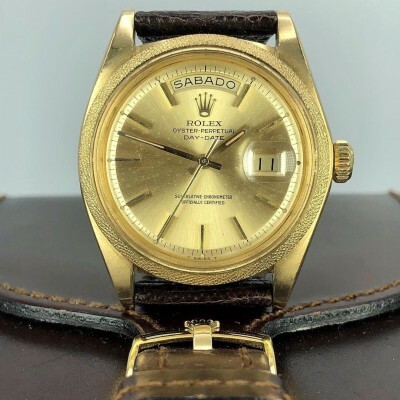 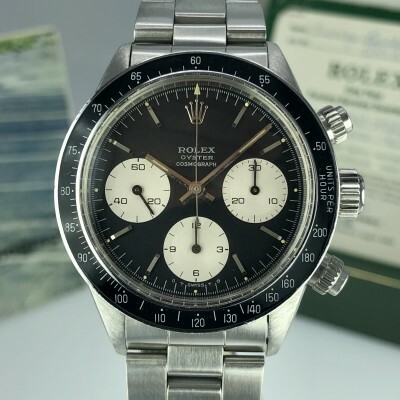 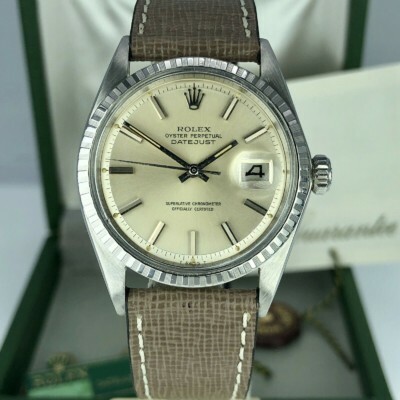 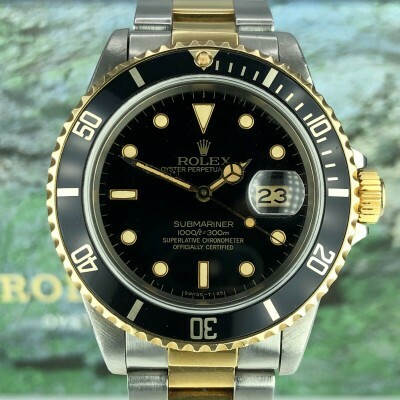 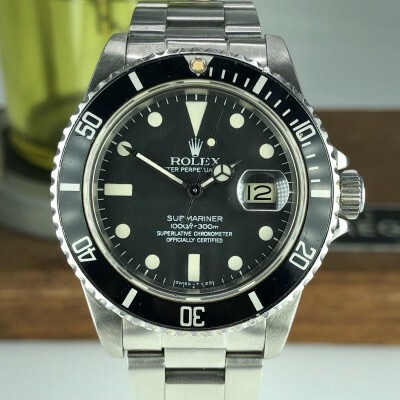 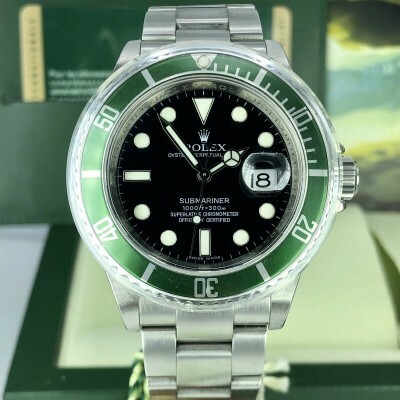 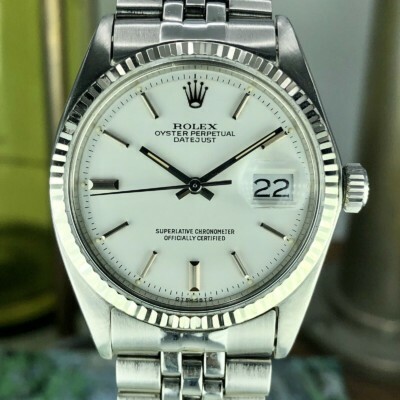 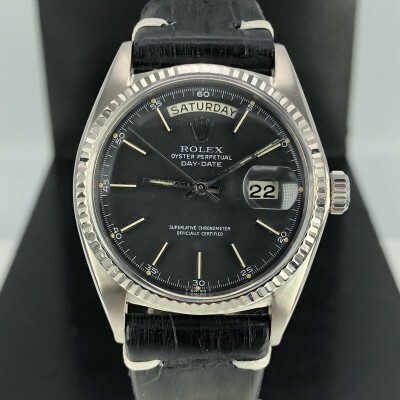 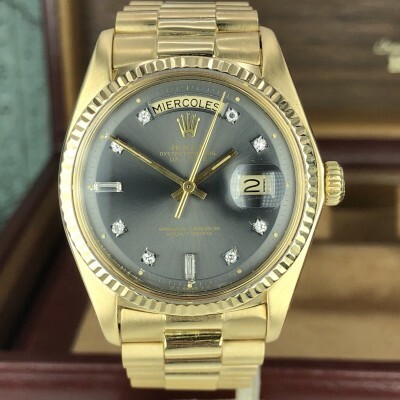 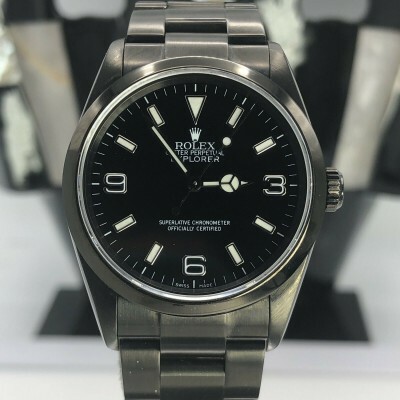 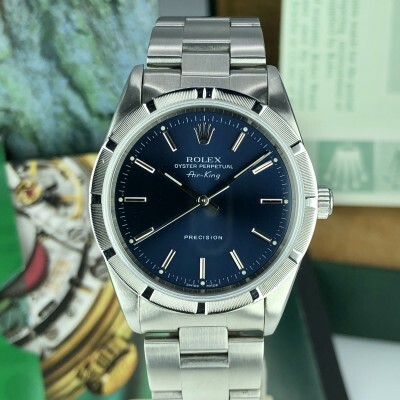 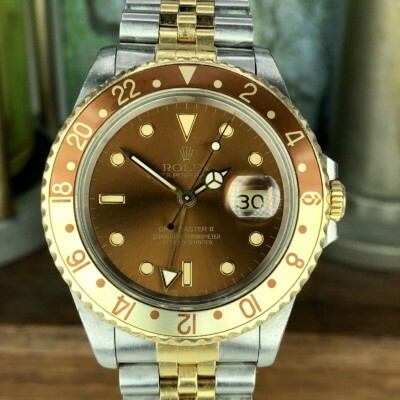 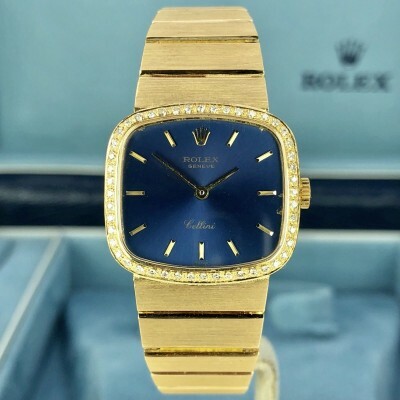 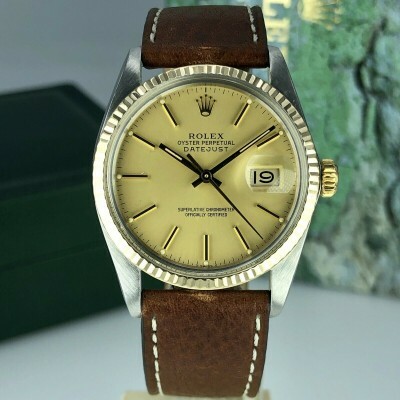 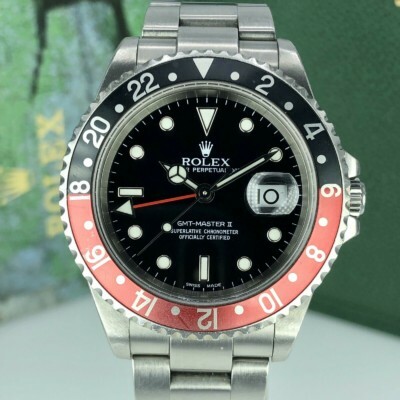 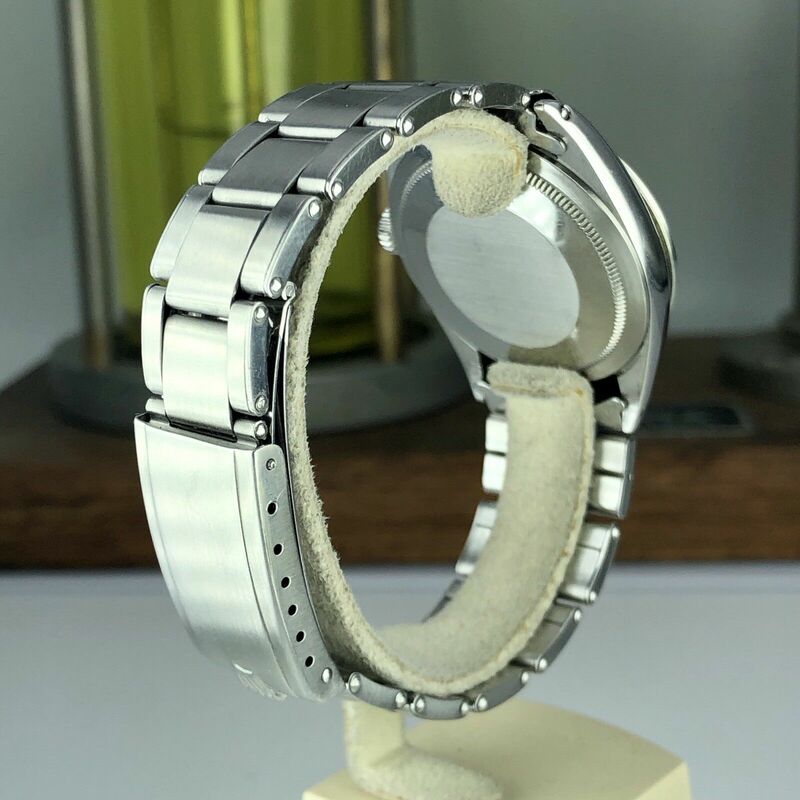 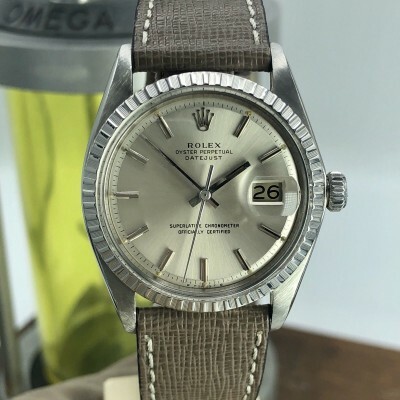 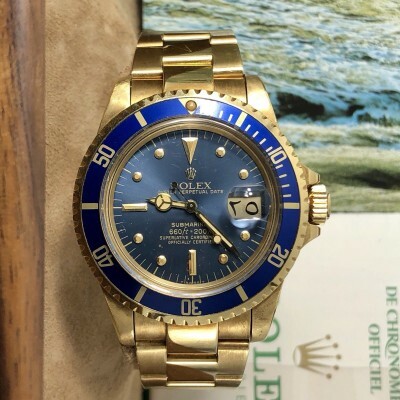 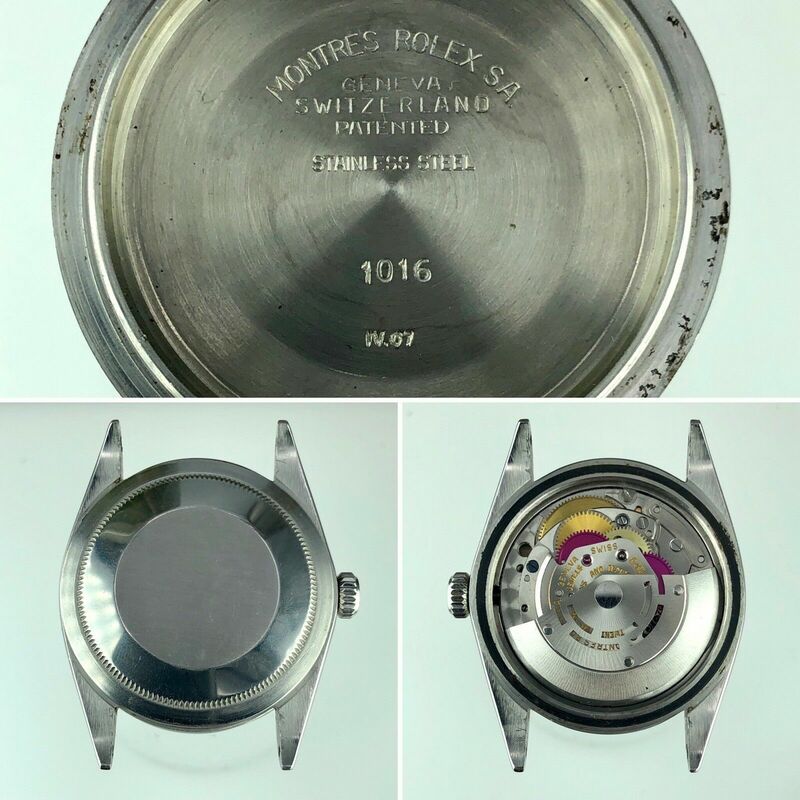 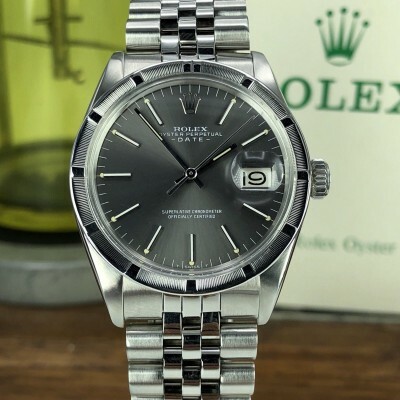 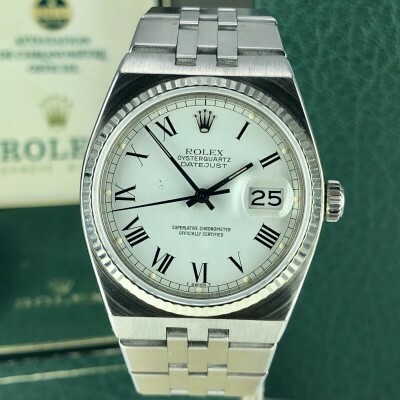 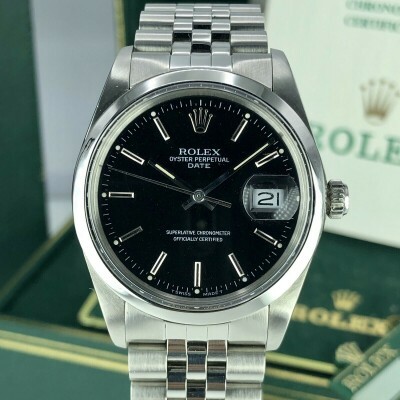 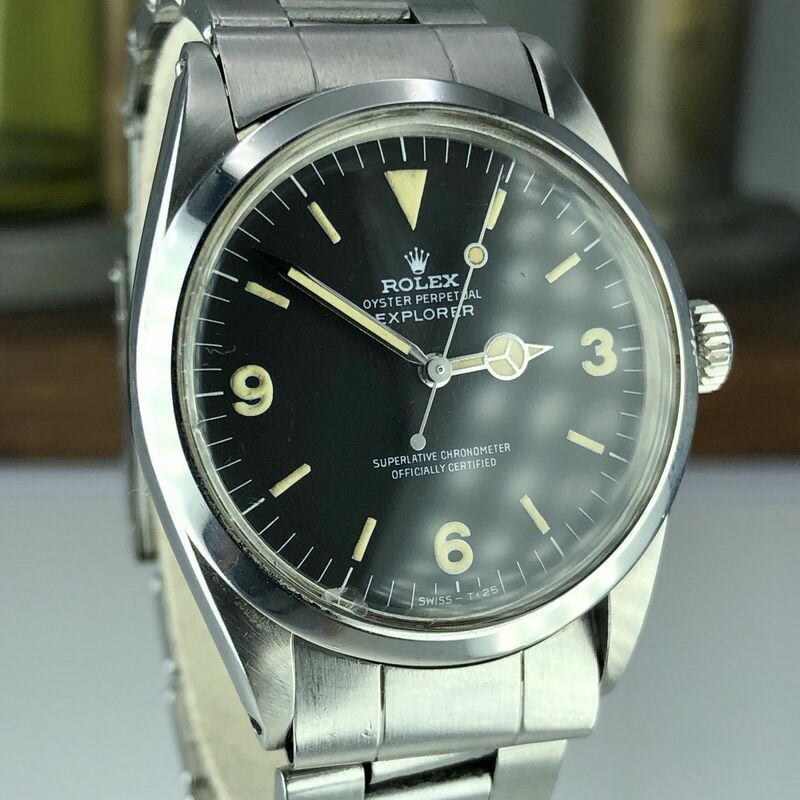 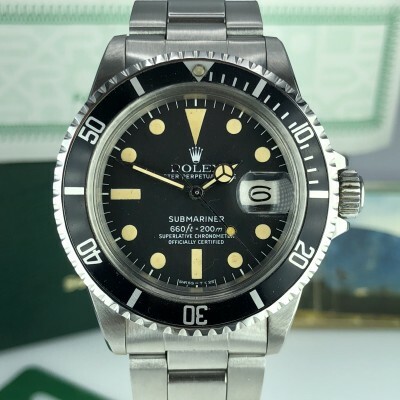 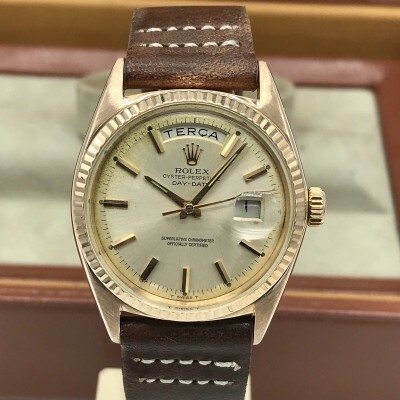 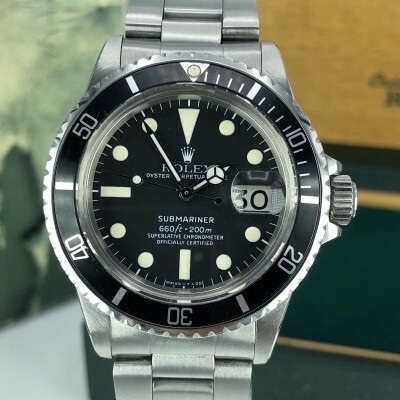 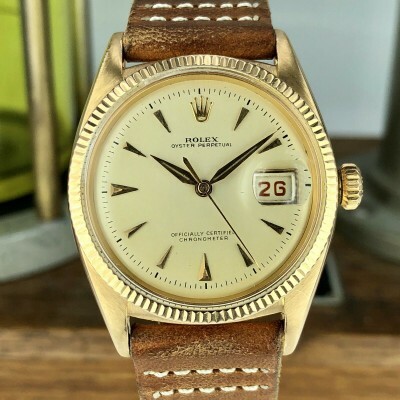 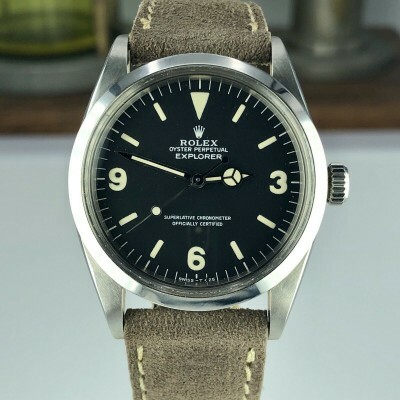 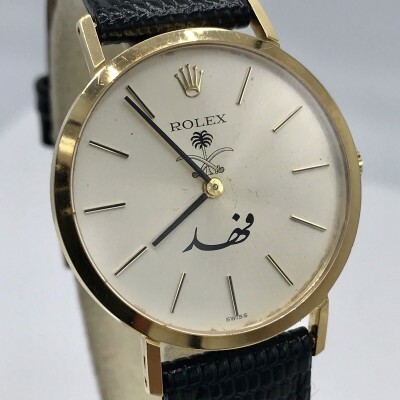 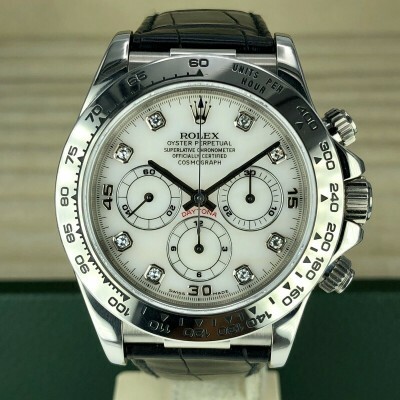 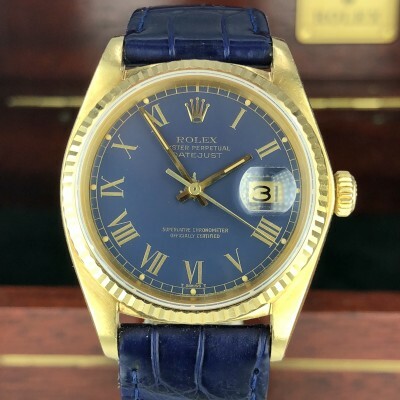 1967 Vintage Rolex Explorer 1016 MK 0.5 transitional model SN(1xxxxxx). 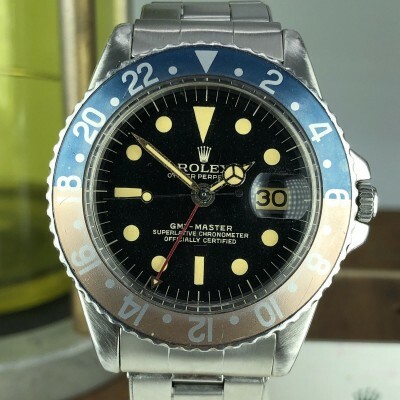 This is a transitional model came after the gilt version. 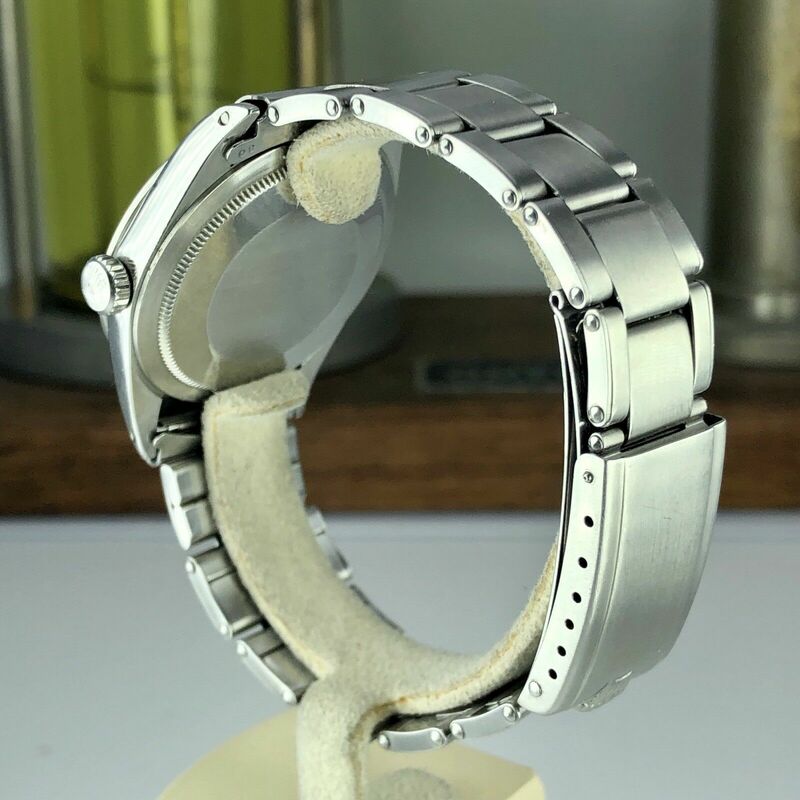 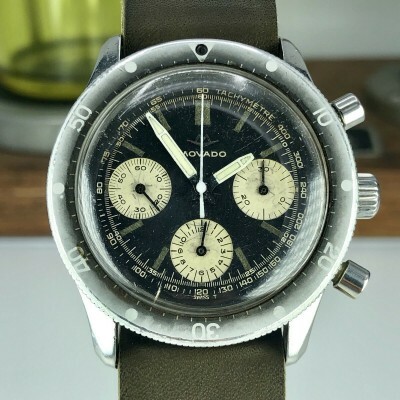 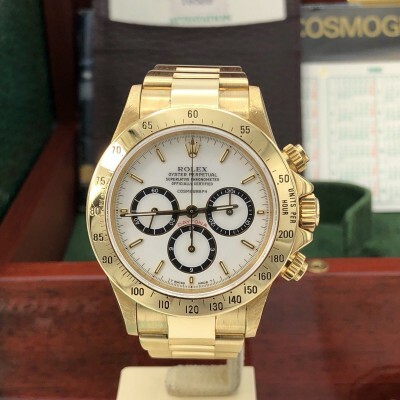 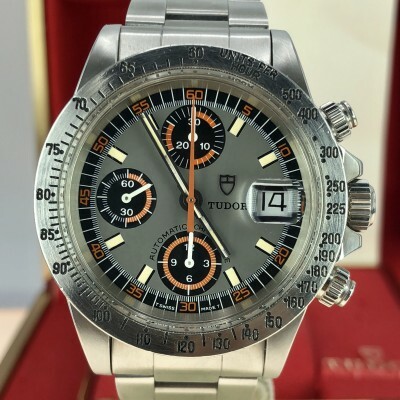 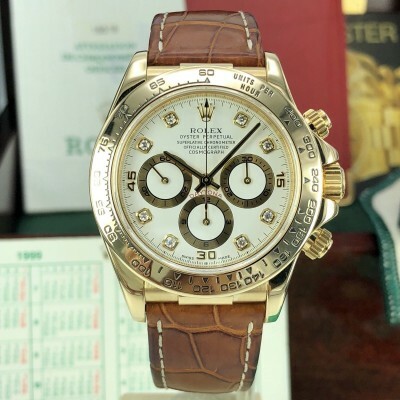 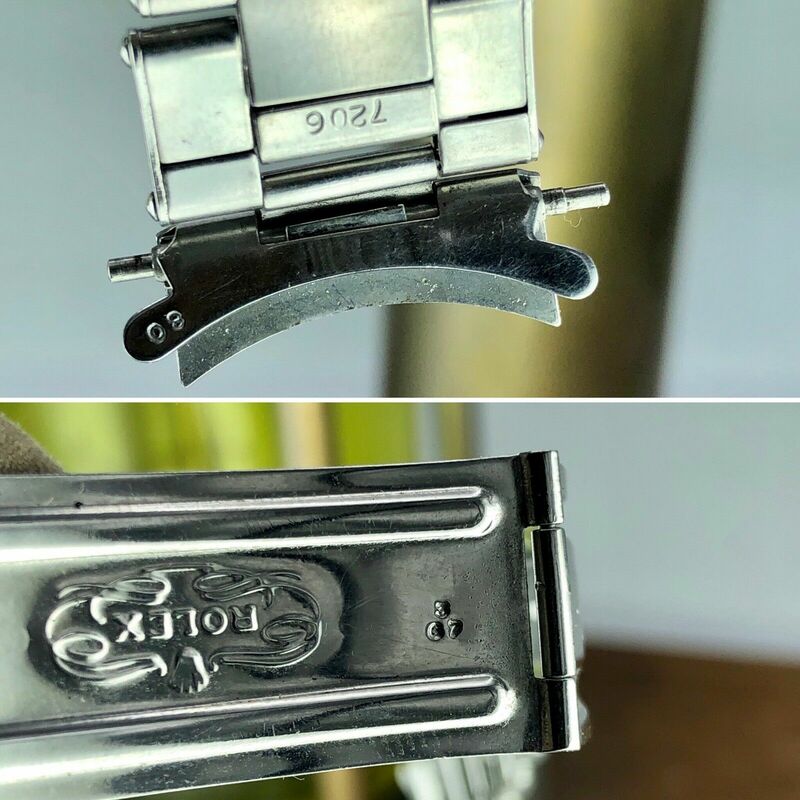 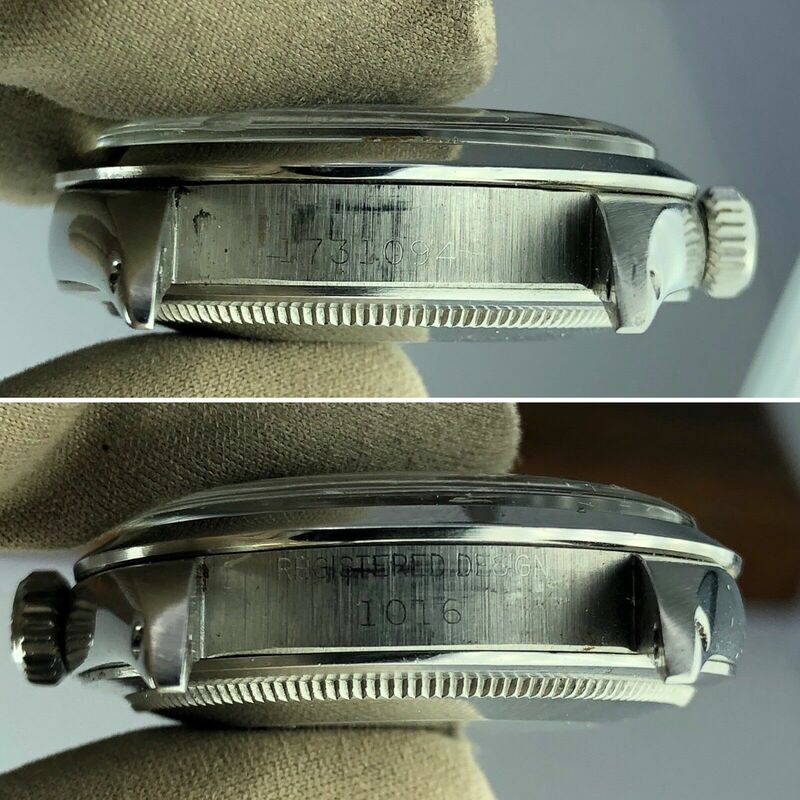 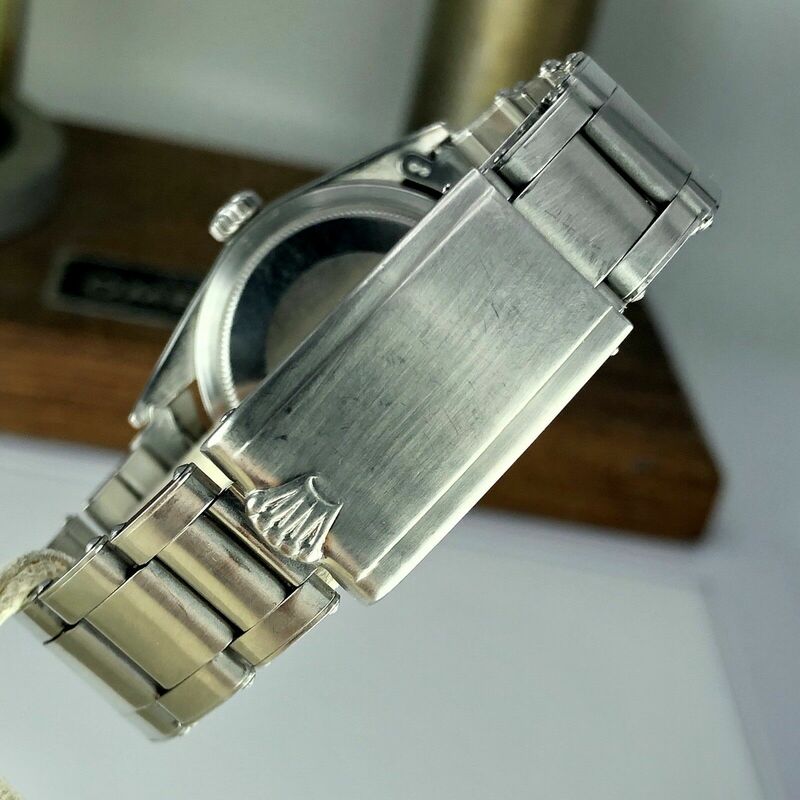 Case and Bracelet: Great condition case, All the numbers still visible between the lugs. 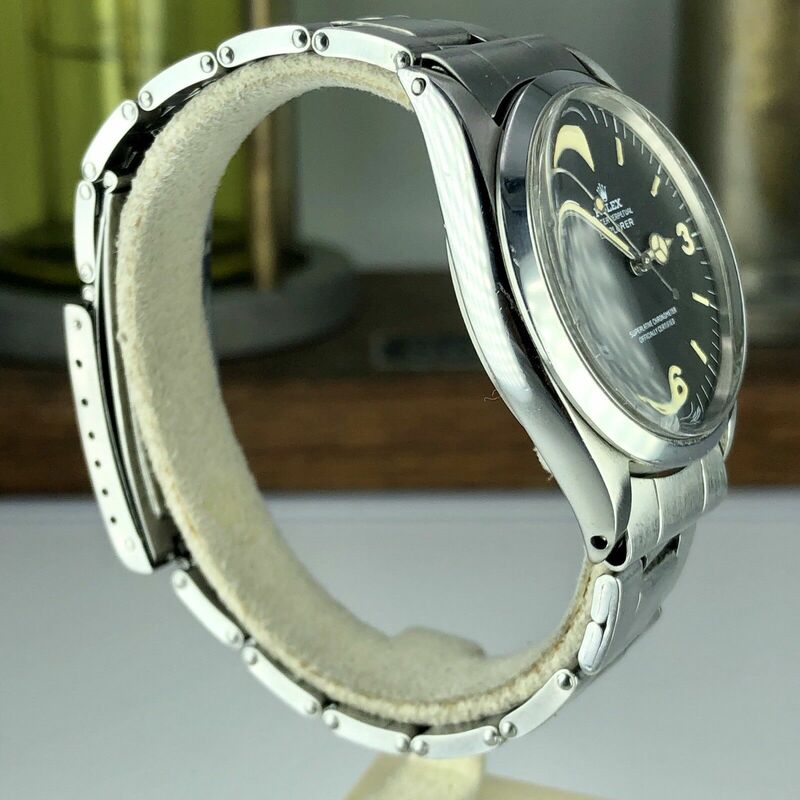 Amazing rivet bracelet 7206 dated 1967 with correct 80 end links. 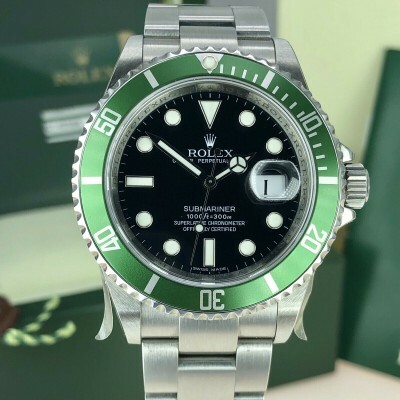 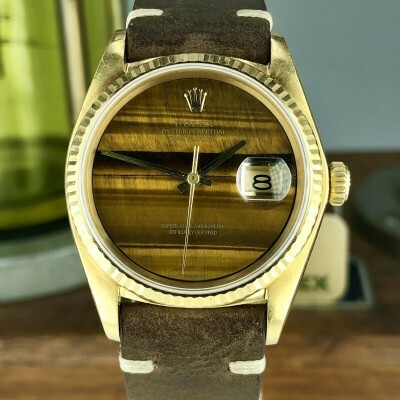 Dial and hands: This dial is very unique because and the collectors called MK0.5, it looks like the MK1 dial but Rolex back in 66-67 experimented with a different lime materials (in this case trit-zincsulfate) tritium mix, Markers and hands still glow briefly when exposed to UV which is correct to that period.